Those who made it down to @waikikibeachwlk this past weekend had a nice treat waiting for them. Two free concerts! 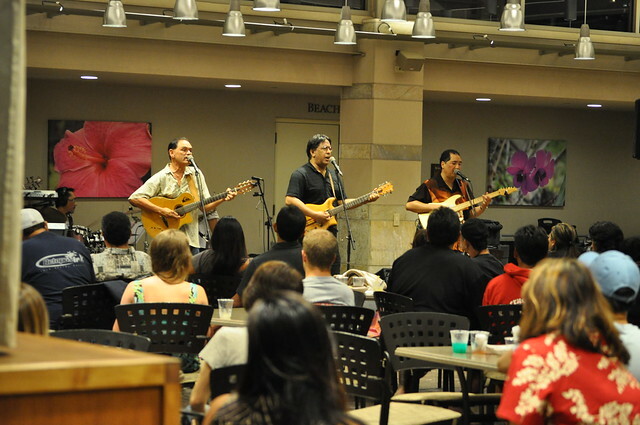 Kalapana performed Friday night in a venue that was changed at the last minute due to the weather. So instead of having the concert on the @waikikibeachwlk Fountain Stage it was moved upstairs to the @embassysuites Grand Lanai. 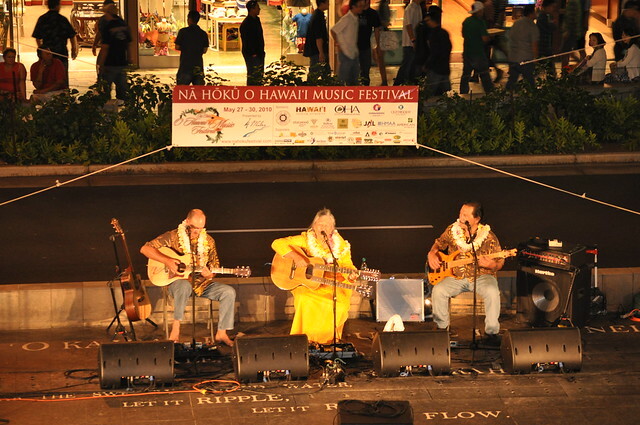 On Saturday night Olomana performed at the @waikikibeachwlk Fountain Stage under much better conditions. The stars were out and the weather was just perfect for this outdoor performance. A fun and memorable time was had by all at both concerts. Especially the many locals who came down to take advantage of the free performances and to reminisce about all of the memories the music brought to life.